Ever wondered what it would be like to wear long hair? Or a pony tail? Or even a buzzcut? Well, with today’s technology, you don’t have to wonder any longer. If you’re looking for a new haircut, there are apps out there that will make your decision a whole lot easier. 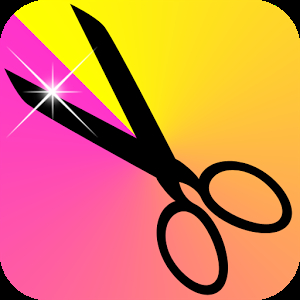 Well, even if you aren’t looking for a new haircut, but rather would like to develop this kind of app, it will pay to know your competition well. So without further ado, let’s start with the apps. This is a very successful app with over 100k downloads. It does just what you’d expect – you take your own (or someone else’s) photo and apply a haircut from the free or a few paid haircut packs. 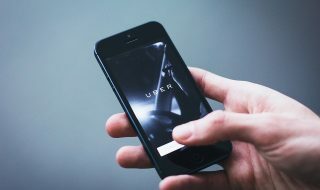 This app has worked hard on trying to provide users with a ton of options, but didn’t carry out its main feature well enough for it to succeed – they have fewer than 5000 installs. 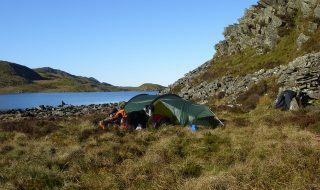 While it is neatly designed and free, it will take a while for this one to really take off. “Ultimate” is not really ultimate when it comes to short hairstyles, which I guess fits in with the target audience, which are apparently very conservative women. 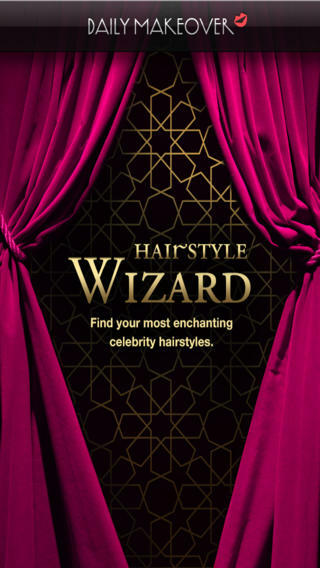 The app is free, but looks pretty cluttered, and it’s mainly meant specifically for trying on celebrities’ haircuts. Too many ads can ruin the entire experience of the app and leave you with plenty of dissatisfied customers. While free to download, this app’s reviews primarily mention how annoying the pop-ups are. And as somebody mentioned in their review, it’s very suspicious how they got to 1 million installs. You don’t need to use your own photo in this app and you can share the result on Facebook. With great rating on the iTunes store, it’s obvious that customers are pretty happy with this app. 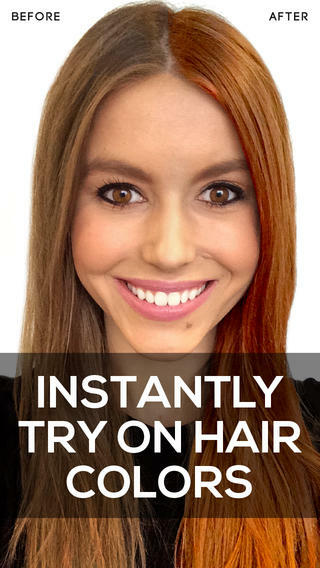 If you’re just looking to touch-up on your own hair, maybe you should give this $.99 app a shot. 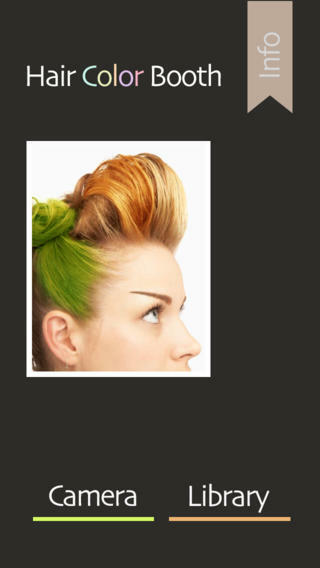 You can change the color of your hair into anything that you want – even streaks of different colours! And of course, it will let you share the photo you made on social networks. 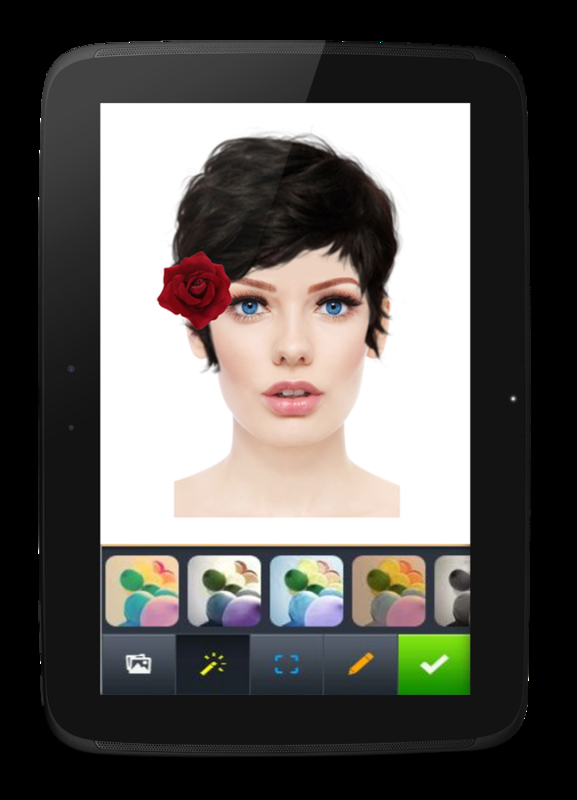 Using the 3D technology, this app will take your photo and make it into a computerized model. 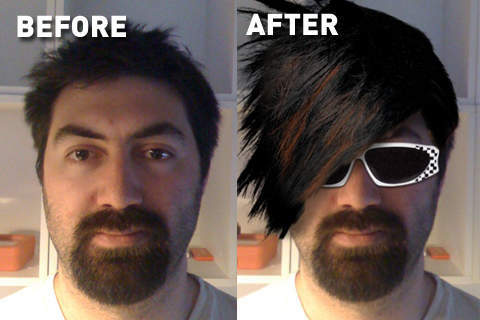 Then, you can add pretty much anything you want to your hair – and you can buy additional haircuts, too. With some of pretty innovative ideas in this app, it’s surely worth giving a try. Heavily promoted app throughout the web, this iPad app lets you do everything all other apps do, and you can also favorite, save, and get recommended styles. 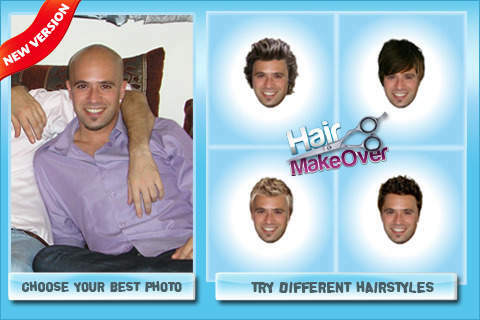 For anyone who gets a kick out of trying out lots of different haircuts, this looks like a super-fun app. 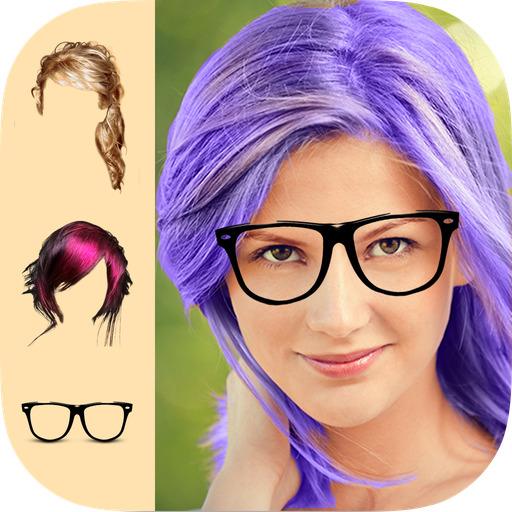 Claiming to have over 2m downloads and 290 different hairstyles, this app would seem like a hit, but reviews reveal a different picture. 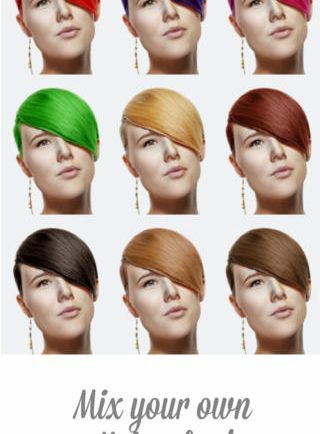 To have any serious fun with this app, you will need to purchase the $1.99 pack of hairstyles. Your call! In my opinion, this is the best designed app from this entire list. Not only you can add haircuts and facial hair to your picture, you can also add special filters (blur, color tint) to the photo and write stuff on it. Most up-to-date app, I’d say, but it will set you back $2.99. This is another app that also lets you add facial hair, it’s just not as nicely designed as the last one. But, people seem to be enjoying the interface as well as functions of this app, so who am I to judge? The app is free, but you’ll need to pay $4.99 to get all additional haircuts. 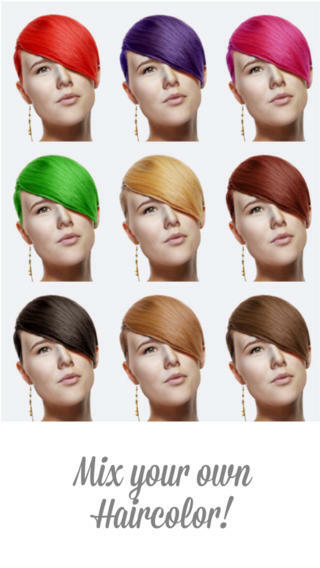 For a very convincing color dye, try out this $2.99 app. 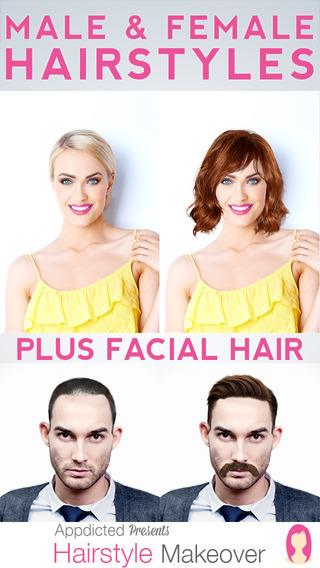 It lets you add a variety of different colors to your hair, as well as some accessories, and stick your photo on a magazine cover. A great way of pranking your Facebook friends. 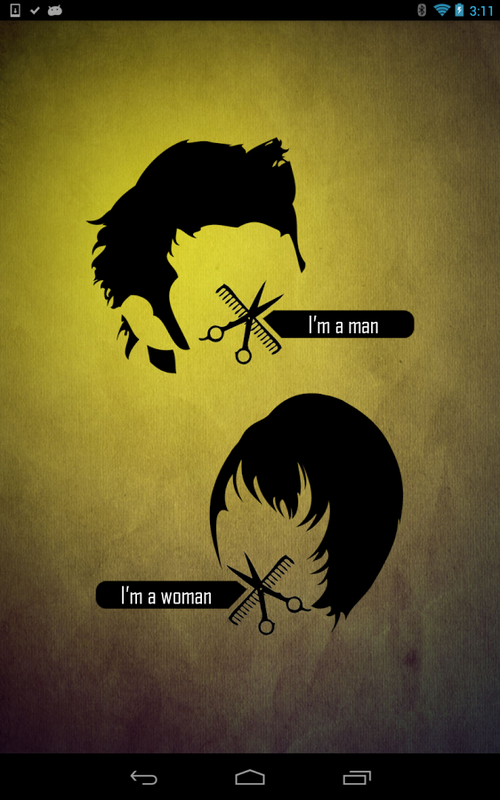 Admit it, we all secretly want an haircut from the 80’s! Well, maybe not, but this app lets you give it a try anyway, and for only $1.99. However, the app hasn’t been updated in a while, so don’t blame me if it doesn’t work on your newest iPhone. Well, I guess there really is an app for everything. 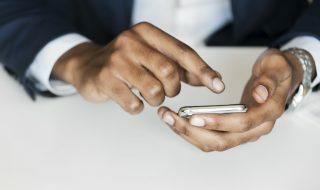 Even if you don’t find these apps particularly useful, take them with some humor and dress up your friends into a sleek new haircut next time you go out for a beer. It’ll surely provide you with a few laughs. A lot of these apps are free, but a few of them are paid, if you want to give them a try I would suggest trying out Amazon’s “Actually Free” Apps that give you the app but with ad support inside of it – a pretty sweet deal! Trying on new haircuts in preparation for your wedding? Bad Credit Site weddings loans could allow you to fund your wedding, get your make up and hair done and much with a low cost loan from a lender who wants to lend to you. Maybe you are sprucing up your look to get revenge on your ex after downloading that to catch a cheater app last month – whatever your motive for that new do, we hope we have helped you to get to the best you! Try your haircut for free with Amazon’s “Actually Free” because it’s actually free, imagine that! This guest post was written by Heidi from ThriftyTricks - they have awesome tips for young people on saving money and living on your own. 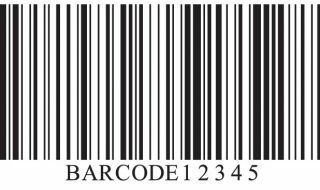 Head over there to get the free e-book 'How to save money when going out without making your friends hate you'. 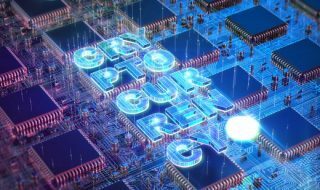 Ask Yourself – Could You Survive Without Technology?